Blog | Sang Dhesian | This site is non commercial and is for the benefit of the pind Sang Dhesian. This is an invitation for everyone connected with the Village Sang Dhesian to share their views. Please attend the studio recording and show your support for your village. Please inform me if you will be attending, so that seating arrangements can be made. 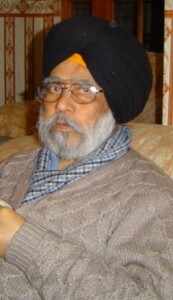 As a founder member of the Sang Dhesian website, with deep regret I would like to inform all members of our village that our father, Satnam Singh Kainth, has peaceflly passed away today (11.04.2010). after a short illness. Hopefully, a lot of you will remember him for his services towards many people in the village, and his services at Gurdwara Chusma Sahib. We will always remember him as a great father and someone who served his community well.